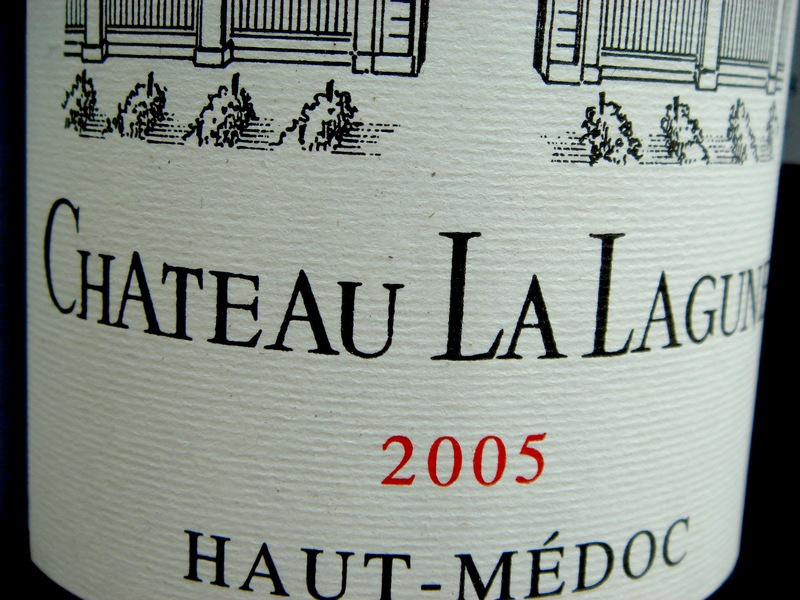 Amongst the classed growths, the leading Haut-Médoc must surely be Château La Lagune, the third growth from Ludon that borders the Margaux appellation. This was always a good wine but quality reportedly dipped a bit in the 1990s. Today the wines are on song under the direction of Caroline Frey. The 2005 is almost too delicious and similarly sumptuous wine was made here in 2009 and in 2010. Close behind La Lagune, and geographically only a few miles away in Macau is Château Cantemerle. For thirty years this has been one of the best value classed growths. Recent vintages have taken on a firmer more concentrated quality to me. The 2005 will be good but is going through an ugly duckling phase at present and the 2010 is very strong. Still the 2009 is incredibly seductive already. Edging ever closer to La Lagune and Cantemerle in quality is Château Belgrave, a Haut-Médoc classed growth which borders onto the terrior of St Julien. Over the last few years Belgrave has made some great wines and still seems to be off the radar to a degree. The almost Pomerol-like 1996 is now drinking beautifully, the 2000 has shut down but should be good in time, the 2005 is beautifully forward and lush if decanted in advance and the 2009 and 2010 look excellent. Chateau Belgrave is owned by Dourthe, itself part of the winemaking group CVBG now controlled by the savvy Alain Thiénot, who owns the champagne house of the same name along with a number of Bordeaux chateaux, including Chateau Rahoul in Graves. Château La Tour Carnet has also recently been turbo charged. Now owned by Bernard Magrez, this once under-performing estate is now back in form making modern styled, lush Bordeaux. The 2009 is a revelation. Also improving is Château de Camensac which should be a Haut-Médoc to watch now since it has been bought by the Merlaut family in 2005. I was impressed by the 2009. The Merlaut family also own Château Chasse-Spleen in Moulis and Château Gruaud Larose in St Julien. Both La Tour Carnet and de Camensac neighbour Chateau Belgrave and the St Julien appellation. For decades Chateau Cissac has provided elegant and traditional Bordeaux which always ages well. The wine tends towards a lean style though in good years there is plenty of flesh on the bones. The percentage of Cabernet Sauvignon in the blend is quite high. This estate lies near the village of Cissac-Médoc to the west of Pauillac and St Estèphe. The other major over achiever amongst the Haut-Médoc crus bourgeois is Château Charmail which borders the St Estephe appellation at St Seurin de Cadourne. Charmail produces intense and concentrated wines, often smoky with a real mineral quality. In top vintages Charmail can give the crus classé a run for their money at a fraction of the price. Their 2000 was a belter. Good wines have also been made in 2003, 2004, 2005 and 2009. Oliver Sèze sold the property recently but remains winemaker. The other great Haut-Médoc property that would surely be re-classified today is Château Sociando-Mallet. This is another Haut-Médoc which borders the St Estèphe appellation (it is actually next door to Charmail). Sociando-Mallet makes dark, traditionally made wine of real intensity and character. The other notable Haut-Médoc properties include Châteaux Beaumont, Citran, Coufran, de Lamarque, Lanessan, Larose-Trintaudon and Malescasse. The complete tasting notes on the wines of the Haut-Médoc are listed here along with the individual chateaux profiles under the Haut-Médoc banner heading.